Our faculty and students are global citizens who aim to build bridges between cultures and make the world a better place. It is therefore the School’s vision to expand our design studios into an international programme, collaborating with universities worldwide to tackle issues and challenges facing global society today. Our MArch Year 1 students explored alternative urbanism and the possibilities of generating public space out of the existing infrastructure hub in the Gongbei checkpoint area along the Zhuhai-Macau border. This joint design studio examined the urban-rural interface in Northeast New Territories, Hong Kong. It investigated the complex issues and challenges facing the area, while exploring its emerging opportunities and making alternative proposals to the officially planned development. The joint studio focused on Guangdong’s abandoned industrial infrastructure and its potential for cultural redevelopment, investigating how complex geometry and digital fabrication technology can radically transform the way our built environment materialises today. This joint design studio opened up perspectives on land reclamation and sustainable urban housing, developing resilient living concepts that addressed economic and social-political needs. A group of graduate students from Harvard and CUHK visited Shenzhen for a one-week field trip, researching the theme of industrial reuse in Shekou. They presented their design projects at Harvard subsequently. 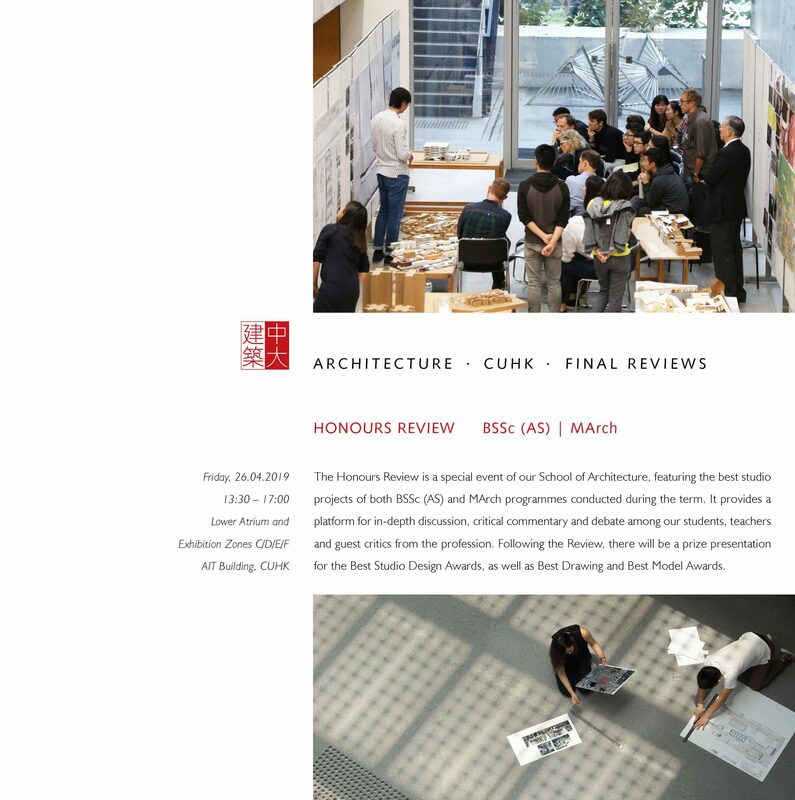 The joint studio developed ideas to transform a Japanese colonial remnant in Hsinchu City facing redevelopment, providing a research-design platform for advancing the knowledge and public awareness of adaptive reuse in architecture. The collaborative studio explored the possibilities of alternative urbanism and generating public space out of infrastructure design, examining the intertwining relationship between infrastructure, environmental risk and civic design in Qianhai, Shenzhen. Sixty of our undergraduate students and their Taiwanese counterparts explored contextual place-making in Taichung through innovative architectural design, proposing potential strategies to transform the city on a larger scale.